James Blackburn, the brand new vice president of Student Financial Services, took over Georgia State’s struggling department in August 2017, and kicked it into high gear to bring about some serious changes. There wasn’t a shortage of challenges that needed to be addressed. 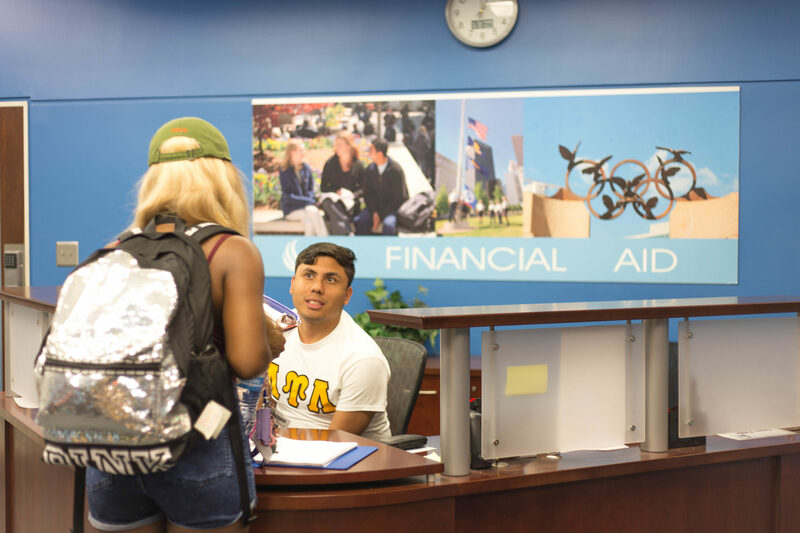 At the start of each semester, students flooded the department with questions about financial aid deadlines, refunds and involuntary class drops. Blackburn said financial aid took a “student-centered” approach to ensure that the entire student body was getting the answers they needed. He said that’s the model he offered to Georgia State is an initiative that’s almost unique among universities. Blackburn said that, because of regulations set by the Department of Education, a lot of financial aid offices across the nation run under process-centric techniques. For example, Blackburn said, Georgia State works with students to prevent unnecessary drops from courses, resulting from financial aid delays. “This spring we took the approach of, if the student is working with us, we’re working with the student. We have gone well beyond what a lot of universities would do. In most cases, what I’ve seen is, if you don’t make your payment by the payment deadline, you’re dropped from class,” he said. But Georgia State is now trying to personally approach students that are late on payment deadlines and come up with solutions. “We were calling students that were missing documents, sending emails out to students that would say, ‘Hey, please submit this documentation.’ Even though the payment deadline has dropped, do not stop going to class, continue working with us, and this is part of the student-focused approach, to where we are trying to work with the students,” Blackburn said. The new approach, and adding phone capacity, allowed financial aid to help an additional 14 percent of students in the spring semester. Blackburn said a top priority on his list of goals has been better communicating the financial aid process to the student body. “Navigation within the financial aid process is easy to those in the profession but difficult to those who are just trying to get through school,” he said. Major delays throughout the rush periods often had students complaining about the department. Blackburn said the reason behind delays in financial aid responses came from a many-to-one kind of system. Students would bring up questions and concerns to the help desk that often required more than a simple one-session answer. But those requests had to go through a middle man, a manager or a supervisor who would look into their systems, approve the request, and provide answers for the student. That bumped down the average response rate for the financial aid department to three days this past spring, for the most complicated cases. In January, all other questions took an average of 1.6 days to receive an answer. Blackburn said there’s also been a focus in educating the student body on navigating the financial aid system on their own. In response to that, financial aid launched the Pounce FAFSA campaign shortly after spring break. “We had Pounce come over, take a few still shots in our offices, going through the financial aid process… You’ll be able to–if you piece all those social media pieces together and put them all in one storyboard– find Pounce going through the financial aid process,” he said. Finally, the department is gearing towards an interactive workshop series set to launch in April or May, Financial L.E.A.P.S. (Learn, Evaluate, Act, and Plan for Students). The workshop would go through topics within financial aid with students, and evaluate their usefulness by checking on students’ progress 30 to 60 days after the workshop. Blackburn said from now on, the department is seeking to make the first contact with the student body instead of waiting on student submissions. While in the past, they’ve waited for students to submit an application for financial aid, they’re now making the money available beforehand. “What we’re doing this semester for the summer semester is, when the student registers for classes, we see the registration come through and what we’re doing is offering the financial aid for the student. And then the student can go from there. They can accept the financial aid, or if they don’t want it, they decline it,” he said. And to make sure students stay in the loop, financial aid has hopped on the social media train. The department also partnered up with students to conduct focus groups and come up with new solutions when it comes to refunds. Financial Aid is considering breaking up student refunds, if the student opts to do so, in smaller amounts over two-week periods. “That helps you pay your bills, your expenses, and helps kind of force a little bit of budgeting in there. And so far, there’s been a lot of support for the idea, and we’re going to continue to get more information from students and then we’re going to try to launch that sometime this calendar year,” Blackburn said.